To my thanks, I have been receiving emails occasionally from various readers in Japan and from overseas. In the present page, and also in the Japanese page , I am going to post some of those communications suitable for open discussions. Communications with Valeri Souchkov were indeed valuable, as recorded here. As posted in a separate page, Q&A on Ed Sickafus' paper ("Subconscious Problem Solving Using Hazy Heuristics") were carried out between Toru Nakagawa and Ed Sickafus, and also later among the three where Shahid Saleem Arshad joined. 30 Email communications are posted there. "Breakthrough Thinking with TRIZ for Business and Management: An Overview"
Could you please allow me to translate it into Japanese and post the Japanese version in my Web site "TRIZ Home Page in Japan"? I would like to get help from some of my colleagues in the actual translation work. We are very grateful that you are posting a number of introductory articles and documents publicly. I would like to make my Web site illustrative and useful for TRIZ beginners and practitioners. I should look around widely to collect good articles. As a matter of fact, the number of visits to my Web site is gradually but constantly decreasing for these several years (especially in the Japanese page) in spite of various efforts. 'Too rich for beginners' is the main reason, but 'Not many new, easy-to-read, and attractive articles, especially case studies' may also be the reason. Dear Toru, Of course, I would be honored if you translate and post my paper to Japanese. TRIZ for business and management has a great potential, I already run a number of successful projects with it. Just note that I recently updated the article, please find the latest version attached. You have been doing so great job by promoting TRIZ worldwide with your website for so many years! Your website is very well known and your efforts are appreciated really very much by the TRIZ community. I personally benefit from it. I think that the decreasing number of visitors is also related to some other factors: in the past there were too little TRIZ websites in local languages, but today there are many of them. It is perhaps why non-English and non-Japanese readers visit local sites first. I have been visiting South East Asia for business many times during last year, and I saw that people there tend to focus primarily on accessing local resources. And in general, the number of TRIZ sites used to grow fast recently and the attention of readers started to diffuse. I must also say that the number of English-language beginners to TRIZ is not growing as fast as in the other languages - Korean, Chinese, Thai, Spanish. Your website accumulates a lot of information, which is excellent but I must admit that it looks quite complex. Perhaps it is not a problem for the academic audience but non-academic TRIZ beginners might be lost in it. It seems like you structure the website rather well, but there is too much information on single webpages. I know it is a difficult contradiction - how keep it simple while maintaining complexity. There is another reason these days - a problem according to the TRIZ law of coordination: the growing number of people tend to access the web through their mobile devices - phones, tablets. Our audience - people with innovative drive - are these people. Perhaps you heard that recently Google updated their ranking engine - the preference today is given to those websites which are displayed clearly on mobile devices. It means less information per page, larger fonts, etc. Now even my website does not fit this demand. Thus perhaps we both need to think how to "match" our websites with mobile platforms. News: The TRIZ Journal has been restarted on Jun. 11, 2015 by BMGI. Note: Nakagawa's paper on "CrePs: It Vision" (ETRIA TFC2013) is posted in the top page of the new TRIZ Journal. 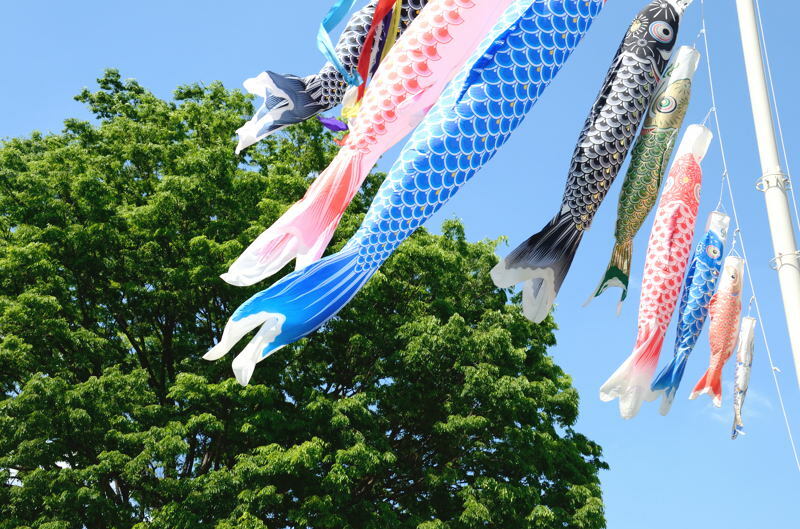 Together with the photo of Carp flags. Dr Nakagawa, Congratulations on completing the USIT system in English. I have seen some of the documents and I dare say that they are well thought out and illustrative. Thank you very much for your great effort.